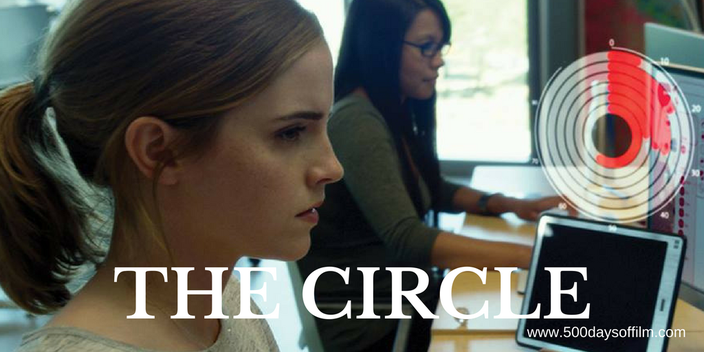 When Mae (Emma Watson) is hired to work for The Circle, the world’s largest and most powerful tech and social media company, she sees it as the opportunity of a lifetime. As she rises through the ranks, she is encouraged by the company’s charismatic founder, Eamon Bailey (Tom Hanks), to engage in a groundbreaking experiment that pushes the boundaries of privacy, ethics and, ultimately, her personal freedom. However, her participation in the experiment soon begins to affect the lives of her friends and family - with devastating results. Subscribe And Never Miss A Review! The themes at the heart of The Circle are challenges we face on a daily basis. How does technology (and the ‘datafication’ of our routine activities) benefit society? How could it harm us? What should be transparent and what should we keep private? As Facebook, Apple and YouTube (et al) introduce new innovations - where will our digital connectivity end? Frankly, the implications are as terrifying as they are inspiring. However, it is hard to argue against the ideas introduced by Eamon Bailey (a great performance from Tom Hanks in a rare bad-guy role). They seem, on face value, to be of significant benefit. It is only when you look beneath the surface that things start to look disturbing. As a result, while The Circle’s source material - the 2013 novel of the same name by Dave Eggers - has (in some cases) been superseded by real technological advances, its key concepts remain all too relevant. Couple The Circle's inherently dramatic themes with its extremely impressive cast and crew and the film should have been a slam dunk - one of this year’s best thrillers. Sadly, Ponsoldt’s film feels more like a missed opportunity. It is hard to put a finger on what has gone wrong with The Circle. The performances are all strong (with now deeply poignant appearances from Bill Paxton and Glenne Headly as Mae’s parents). However, apart from Mae (an engaging portrayal from Watson) the cast are all criminally underused. Does the blame lie with James Ponsoldt? It seems hard to imagine when you take his previous films into account (I particularly love The Spectacular Now). In addition, he worked from a screenplay that he wrote with Dave Eggers himself. In the end, perhaps the size and scope of the source material has overwhelmed this film. With so many angles to explore, The Circle just doesn’t know what to focus on. The end result is a jarringly edited rather pedestrian affair - a thriller that never feels thrilling and a story that may have worked better as a mini-series. I did enjoy the on screen social media messages in The Circle. Some of them are hilarious. However, I do think they proved distracting, ultimately deflating The Circle’s tension. The Circle does look good (thanks to cinematographer Matthew Libatique) and features an enjoyable score from Danny Elfman. If you have, what did you think of James Ponsoldt’s movie? Let me know in the comments section below or via Twitter or Facebook!